Whipped Cream is an incredibly simple thing to make. It can be used as frosting, topping for your favorite ice cream or hot chocolate, or simply as a side dish to a dessert. Just look at the ingredients list! Seriously! All you need is heavy cream and sugar (and maybe some time). 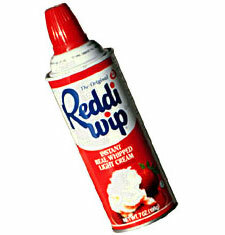 Another great thing is that there are 2 methods to whip your whipped cream. You can either get a jar, put in your ingredients add shake, shake-a, shake it! Or, you can place all the ingredients in a bowl and mix with a mixer (with wisk attachments). Either way, you get a delicious side dish to go with your choice of dessert! Yum! Now the only question is, what way will you choose? 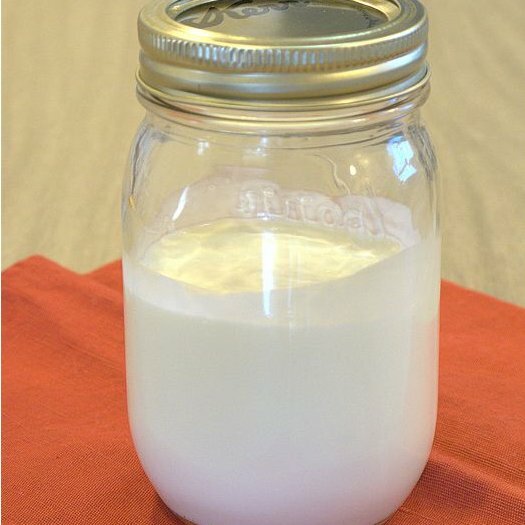 Pour 1 cup of heavy cream into an empty, cleaned out jar. Put a lid on it (make sure it's closed tight). Shake the jar (you might want to have a friend nearby to help you, so your arms don't fall off). When the heavy cream startes becoming more solid (you can't hear it splashing as much), add in the sugar, a little bit at a time. Only mix until all the sugar is incorperated. Do not over mix. You can take the heavy cream out to use it as a topping, or store it with the lid in the fridge. 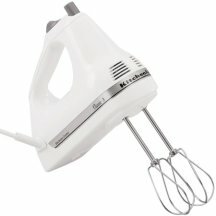 Place the heavy cream in a bowl and mix with a mixer that has a whisk attachment until just solid. At this stage, add in your sugar a little bit at a time until you acheive your desired sweetness. The one thing I cannot over stress with this recipe is: DO NOT OVER MIX! 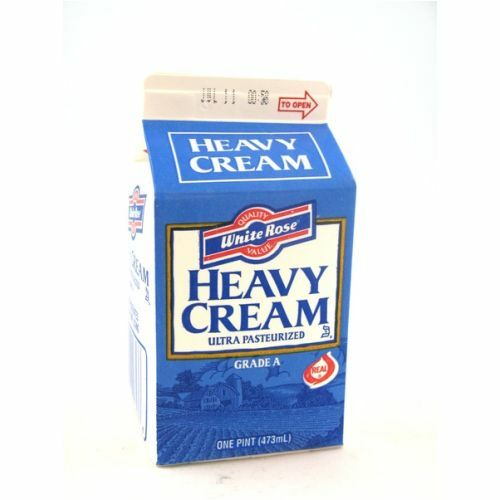 The thing about heavy cream is that it is not only used to make sweet whipped cream, but also salty solid butter. SO, the way to make butter is to replace the sugar for salt and "churn" a.k.a mix past the point of no return. Trust me, I sorrily know from experience that when you over mix this, you get an icky, throw-up looking mess that you'll eventually have to throw out. Yeah, so be careful! Another tip is to have extra heavy cream and sugar nearby so that you can add sugar if you think its not sweet enough and if you think its too sweet, add more cream. Play with it until you get the taste your looking for. The real key to a good whipped cream is to make sure all your utensils are extremely cold. I suggest putting the bowl and the whisk/ whisk attatchment in the freezer for a while before hand. It really does help the end result. Trust me! I remember when I was first looking for whipped cream recipes and I wondered Do you HAVE to use heavy cream? mainly because I didn't want to have to go out and buy it if I could use something I already had instead. I found my answer to be no. Simple as that. Whipped cream just has special characteristics that normal milk just doesn't have! It's just like how sugar and icing sugar aren't the same. You can't make granulated sugar into icing sugar and vice versa. They're just plain different. So don't be like me who insisted that there must be another way. Trust me, your wasting your time. Heavy Cream is the only way to your beloved whipped cream. Period. That's about it! Good Luck!